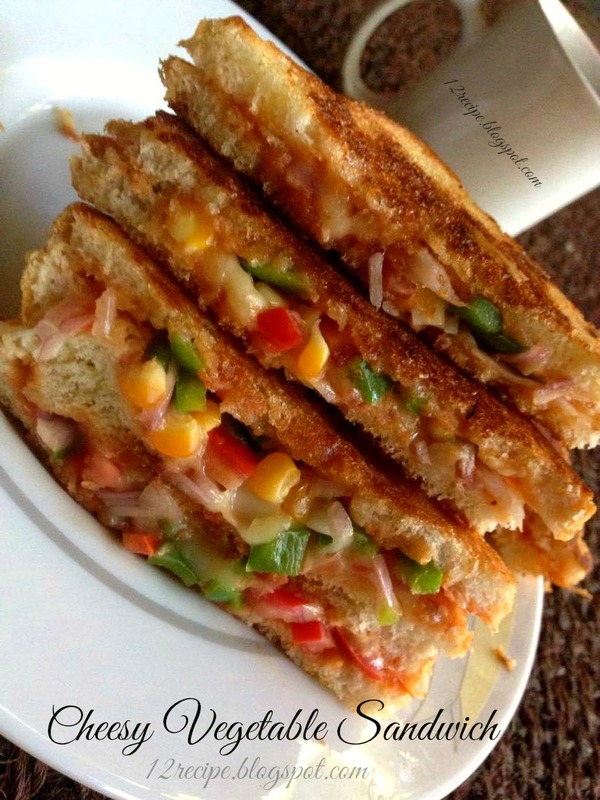 There is no ideal snack or breakfast better than a healthy and delicious sandwich filled with lot of veggies and cheese. Heat a tablespoon of butter in a pan; add all the vegetables in to and saute for five minutes by adding little salt. After that mix it with chilly sauce and grated mozzarella. 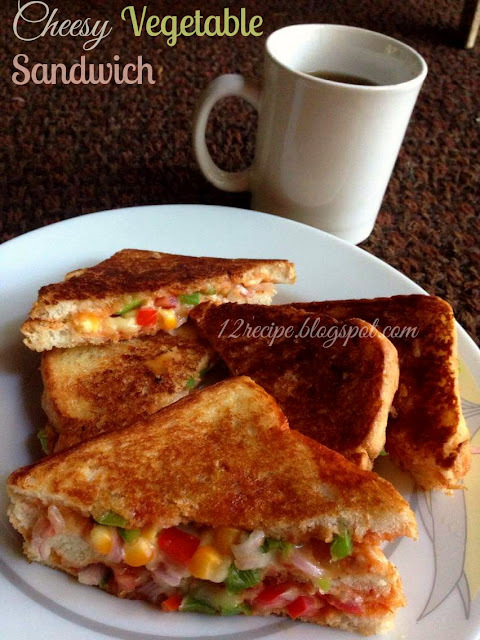 Take a slice of bread and apply the above mix as a thick layer on top and cover it with another slice. Heat a pan with butter and toast the sandwich on both sides (on low flame) until nice golden and the cheese gets melted. (add a teaspoon of butter again; when the sandwich flip in to the other side). (Or you can toast it on a sandwich maker).